Jed Scott, of Fort Collins, drifts the fly-fish line downstream in one of the only calm sections of the Blue River on Friday, June 23, in Silverthorne. 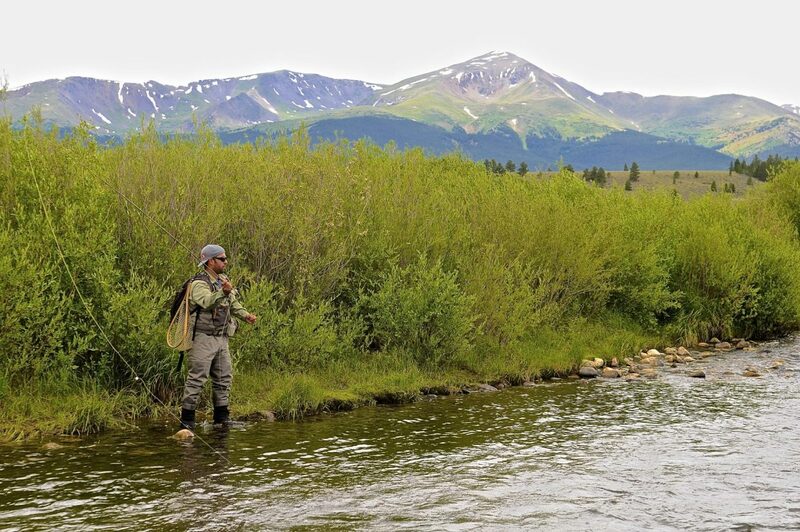 Since last spring when about a third of Summit County’s Blue River was stripped of a prized fishing designation due to inadequate production levels, efforts are ongoing to solve this ecological riddle. 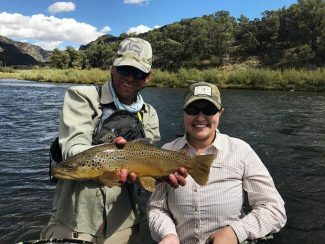 The 65-mile tributary, flowing from the Tenmile Range on the southern edges of Summit to the town of Kremmling in neighboring Grand County where it terminates in the Colorado River, is popular with anglers. 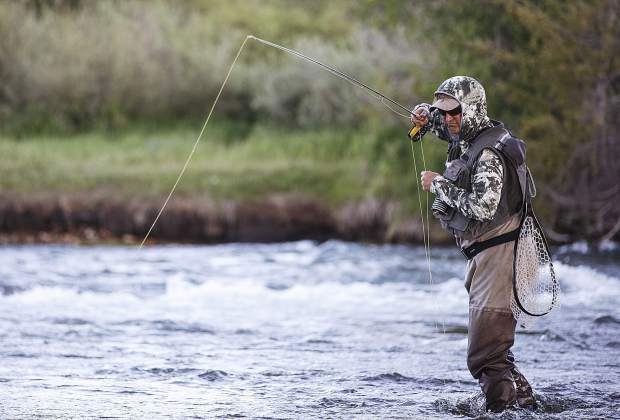 From Interstate 70, fly-fishermen can often be seen on its banks trying to outwit trout near Silverthorne’s shopping district. 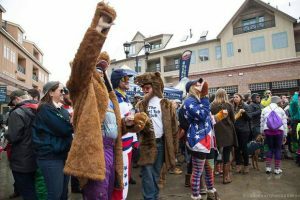 It’s lower down the gushing waterway’s span, however, on a 19-mile stretch north of Silverthorne toward Green Mountain Reservoir, that state officials said the gold medal tag had to be pulled this past March. While perhaps no shock to those who best know the area’s waters — many already avoid that segment for lack of comparative success — the local emphasis has been on exploring if regaining that billing as one of the state’s top fishing destinations is even possible. 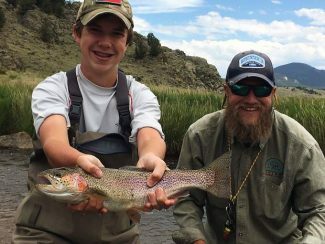 To possess a gold medal, a waterbody needs to offer 60 pounds of trout per acre and a dozen fish at least 14 inches or longer in that same space. But through some mix of unnatural streamflows, insufficient bug populations for fish to eat and temperature variability, those 19 miles have produced no better than half those quantity requirements since as far back as 2001. A regional stakeholder group has been meeting quarterly to trade data and hypothesize what may have ultimately turned the tide on the classification. So far it’s still uncertain. 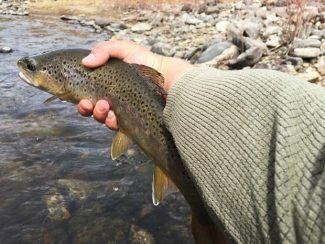 What is clear is that the number of rainbow and brown trout that used to populate the segment are no longer there, and those that remain are underweight. Water quantity, meaning outflows from Denver Water-managed Dillon Reservoir, are almost certainly a factor in all of this, but how to overhaul that is even trickier. 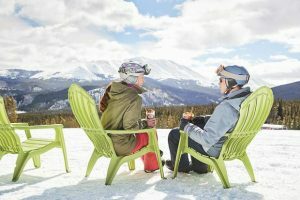 Based on annual snowpack and peak periods of melt, the agency pushes water out into the Blue River to avoid overflow, but is also unable to lend more than present totals so it can still meet the demands of Front Range water needs. In a related quality issue, what is funneled out is often colder than ideal temperatures for fish because it originates from lower in the reservoir, rather than at various depths as with more modern dam designs. 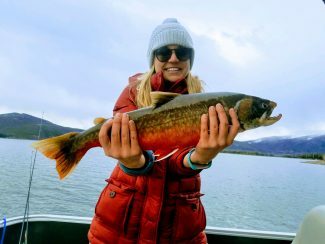 Trout thrive at between 54 and 64 degrees Fahrenheit, and what comes out of Dillon Reservoir is typically closer to about 46. Discussions persist about possibly retrofitting Dillon Dam, which opened at the end of 1963, with an updated, staged-release structure like that of Grand County’s Wolford Reservoir. That project, completed in 1995, includes a tiered system that can combine water from three different depths to better manage temperature downstream. The primary obstacle, though, is that such a renovation could cost up to $10 million, and no one knows yet from what source the funding might arise. That’s if it would even help address the challenges in the Blue River at all. Eventually restoring the gold medal fishing label for the entirety of the Blue River is the group’s goal. Doing so by artificially stocking the deficient stretch is another alternative, but officials note that does nothing more than simply reinstating a name — and at unsustainable costs — rather than straightening out what’s really going on.